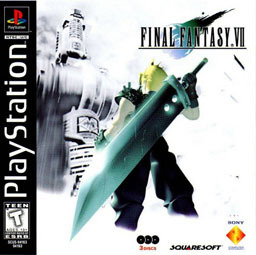 Everyone loved Final Fantasy VII*. The party infiltrates a reactor, and the various characters give the player tips on how the game actually works (on the battle system and using items or magic and that kind of thing). The music, though, is very tense. In spite of the ridiculous character models and hit-or-miss dialogue translations. The Black Mages‘ rendition of the mission’s theme is excellent. *By everyone, I mean more than 10 million people worldwide. I rounded up. To everyone. *****No, I didn’t mean for the footnote section to be as long as the main post. Sorry. I just placed an order at Comp-Tac using their BLACK-2011 coupon code for 20% off (good only today, so you better hurry!). One paddle holster and a single mag pouch on the way (eventually; they’ve got a seven day wait time). I didn’t do any in person shopping, though. Walmart was packed, and I don’t particularly want to get trampled in the mad dash for bargains. Instead, I watched the football game (sadface), worked some on my memo, and then saw The Muppets. Definitely not a waste of money. Unless you hate the muppets, in which case, you’re probably a godless commie. I hope you all have a good holiday; eat too much, spend time with your family, watch football, laugh at Black Friday shoppers, or whatever else you do for Thanksgiving. This year I’m mostly thankful that I’ve got 5 more days to work on my memo, and another 9 days after that to study for finals. If I seem a little obsessed, it’s because the stress is getting to me. Three more weeks and the first semester is over, though. I must press on! The spice must flow, Rick! I don’t know how likely winning the whole shebang is; Arkansas is 10-1, with undefeated #1 LSU coming up this Friday. Depending on how we do against them, and how ‘Bama does against Auburn, and how the SEC championship goes, we might not even get to a BCS bowl game. *Yes, I did shoehorn a Dune reference into my post on SEC football. You’re welcome. The imminent cephalopod uprising is at hand! First we had to deal with the footsoldiers, the dread zombie squids. Now, octopuses have ventured from their watery home to strike fear into the heart of man. Can the Deep Ones and Cthulhu be far behind? In the grand tradition of Japanese gaming soundtracks, the Wild Arms folk released a couple of arranged discs of tracks from the series. The first disc, Wild Arms Music the Best – feeling wind- (yes, really) is a piano arrangement. 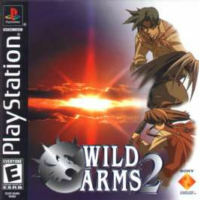 The second disc, Wild Arms Music the Best -rocking heart-, is more up my alley; the tracks are all rock arranged. This track is the rock arrangement of the final boss theme from Wild Arms 2nd Ignition. I’m looking at you, Josh Horowitz (of CSGC infamy). He starts off his screed by defining “mass murder” as killing three or more. In typical Humpty Dumpty fashion, that’s not what mass murder is. According to the FBI, it’s four or more. Horowitz goes on to whine about the evil NRA and how we’ll soon enter an era of forced reciprocity! Just like we’ve had for driver’s licenses for decades, I guess. First off, Loughner did not legally buy his gun. He committed a felony when he lied on his Form 4473. Similarly, Hasan did not legally carry his gun into Fort Hood; military bases are gun-free zones, and privately owned guns on base are required to be unloaded and locked for transport to/from the armory (when not actually locked in the armory) (as I understand it). Tam is right (and so is Joe); we’ve come a long way since the the ’94 AWB. It’s much easier to make your case when you don’t have to worry about telling the truth. *Stats cribbed from google searches and wikipedia; caveat lector.